I’ve had this topic in my list of future topics for a while and decided to cover it based on a conversation with a client this week. When I meet with clients, of course, I am always asking them is there anything you want to know about me or any questions I could answer. Right of the top, my client said one of my New Years resolutions is to become more educated about finances and better at managing my personal finances. I asked a bunch of financial types to tell me some of their most asked questions about personal finance. I also looked back at my trusty Google Analytics and discovered that two of my top three in terms of readership were personal finance-related posts. Now its my perspective that personal finances are more important than portfolio management, but I still think there’s probably not enough advisors providing education on the topic. So I’m going to make a concerted effort to write more about personal finance in the coming year. So as a start to the New Year, here are some resolution type rules. You could say this is intended as a personal finance primer. This is meant as a hit list of some very basic and fundamental do’s with respect to managing your own finances. Your net worth is more important than how much money you make. It’s amazing how many people don’t realize this simple truth. Having a high salary does not automatically make you rich; having a low salary does not automatically make you poor. All that matters is how much you save out of your salary. Investing is more important than savings. Pay yourself first is such simple advice, but so few people do this. The best investment decision you can make is setting a high savings rate because it gives you a huge margin of safety in life. Carrying credit card debt is a great way to negatively compound your net worth. Literally, most people hear advise to live within your means. I would rather people live below their means because the only way to get ahead financially is to stay behind your own earnings power. Likely the biggest expense over your lifetime will be interest costs on your mortgage, car loans, student loans, etc. Having a solid credit score can save you tens of thousands of dollars by lowering your borrowing costs. So use credit cards, but always pay off the balance each month. Know where you spend your money. If you want to understand your priorities look at where you spend money each month. You have to understand your spending habits if you ever wish to gain control of your finances. The goal is to spend money on things that are important to you but cut back everywhere else. And if you pay yourself first you don’t have to worry about budgeting, you just spend whatever’s left over. The best way to save more, avoid late fees, make your life easier and get out of your own way is to automate as much of your financial life as possible. It probably takes me one hour a month to keep track of everything because it’s all on autopilot. Get the big purchases right. I know I shouldn’t be so judgmental but whenever I see large dollars dropped on a BMW or enormous houses, the first thing that pops into my head is, “I wonder how much they have saved for retirement?” Personal finance peeps love to debate the minutia of brown bag lunches and lattes but the most important purchases in terms of keeping your finances in order will be the big ones – housing and transportation. Over-extending yourself on these can be a killer. I don’t even like calling it an emergency savings account anymore because most of the time these “emergencies” are things you should plan on happening periodically. You have to have liquid assets to take care of things when life inevitably gets in the way. This is another huge personal finance margin of safety item. Just remember that insurance is about protecting wealth, not building it. It’s a selfless solution and is there to protect the ones you may leave behind. Always get the employer match. I can’t tell you how many times I’ve talked to people who aren’t saving enough in their RRSP to get the employer match on their workplace group RRSP. That’s like turning down a tax-deferred portion of your salary each year. I’d like to see more people max out their retirement contributions. At a minimum, you should always save enough to get the match. Save a little more each year. The trick to increasing your savings is to increase your savings rate every time you get a raise so you’ll never even notice that you had more money to begin with. Avoiding lifestyle creep can be difficult, but that’s how you build your investment portfolio. There exists a concept of social proof and how we mirror the actions of others to gain acceptance. Trying to keep up with spendthrift friends or neighbors is a never-ending game with no true winners. You know the old proverbial wise tale about keeping up with the Jones. Well don’t. Materialism is a want not a need. It takes all of about five minutes before I hear about politics in almost any conversation these days but somehow money is still a taboo subject. Talk to your spouse about money. Ask others for help. Financial challenges or difficulties are much more manageable early on. Don’t allow financial problems to linger and get worse. Talk to you financial advisor or engage one. That’s what we are here for. Material purchases won’t make you happier in the long-run. There is something of a short-term dopamine hit we get through retail therapy but it always wears off. Consider the comedic material of George Carlin where he talks about the endless circle of buying stuff and replacing it eventually with more stuff. His point? Buying stuff won’t make you happier or wealthier. 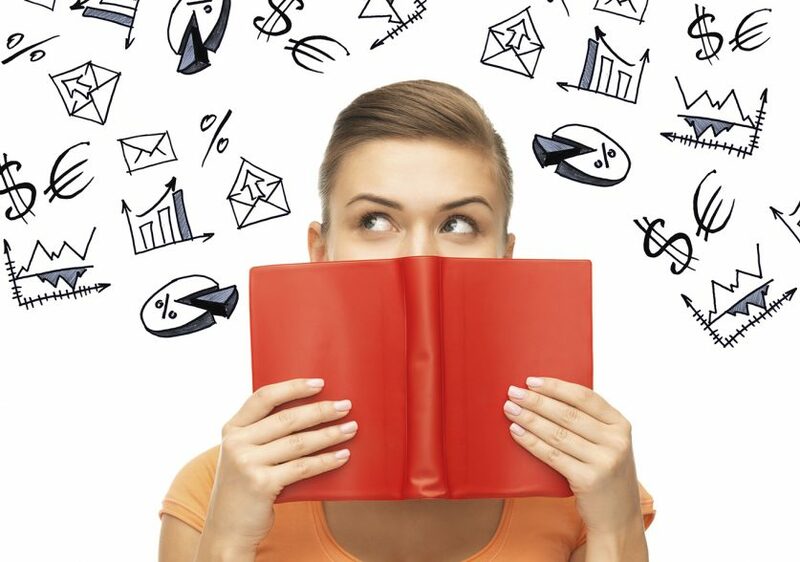 There are countless personal finance books out there. If it bores you to death then at least skim through a few and pick out the best pieces of advice from a few different sources to test out. This stuff should be taught in every high school and college, but we’re often on our own. That means you have to take the initiative. Everyone should have a restaurant napkin idea about where their net worth stands. No? Then sketch it out. No rocket science here. Before knowing where you want to go you have to know where you are. I think everyone should try to do their own taxes at least once just to understand how it all works. Try the software out there. Turbo Tax is a great tool. The point is not necessarily to do your taxes but to at least try. It can be maddeningly complicated, but it can help you save money over time if you know where to look. Take advantage of as many tax breaks as you can and always understand your personal tax situation. Saving and cutting spending is a great way to get ahead, but it’s an incomplete strategy if you’re not trying to earn more by enhancing your career. Too many people are stuck in the mindset that there’s nothing they can do to get a better job, take on more responsibilities or earn a higher salary. That’s nonsense. Too many people only think about retirement. Change the tune. Try thinking about financial independence. The goal shouldn’t be about making it to a certain age so you can ride off into the sunset, but rather getting to the point where you don’t have to worry about money anymore. So there you have it. Not everyone will agree with me. Maybe there are items that I have omitted. So be it. The point about a personal finance primer is to create a list of some of the most important concepts everyone should consider when evaluating their own situation. Take the New Year and make an effort to try to better understand your personal finances. Educate yourself. Talk to others. Make it a point of sitting down with your Financial Life Planner and make sure, as a team, you are doing everything in your power to ensure your Keeping Life Current.